Cameron Hughes has figured out how to sell wine. He is co-founder, with wife Jessica Kogan, of Cameron Hughes Wine, a privately held négociant business headquartered San Francisco. The son of a wine industry veteran, Hughes cut his teeth in wine direct sales, later joining a small French import firm before starting his own firm in 2001. 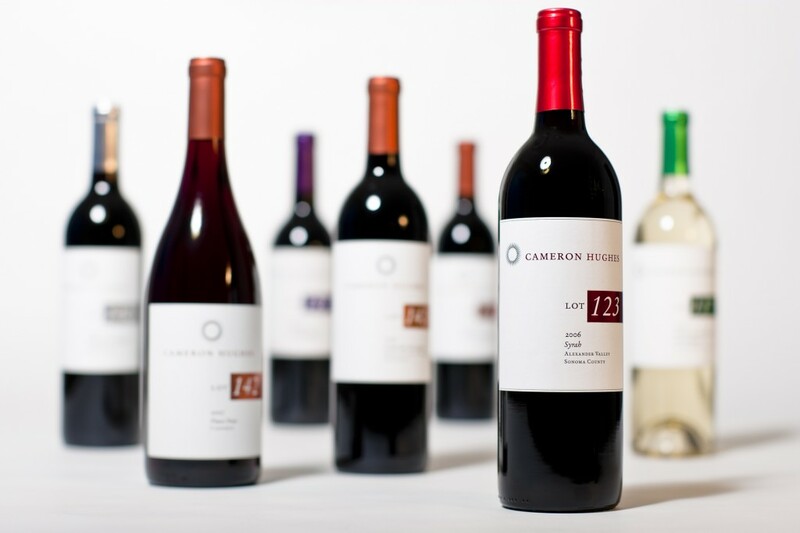 His company sources finished wine at lean prices from producers worldwide, relabeling it for sale through chains including Costco, Sam’s Club, Kroger, and Safeway, and also selling directly to consumers through an online store at chwine.com. The company also employs a staff winemaker and contracts directly with growers to produce wine for its most popular brand, the Lot Series. Production is estimated at 100,000 cases per year. Meg Houston Maker: How did you get into the négociant business? What prompted you to start CHW? Cameron Hughes: It was pretty much jobless desperation that forced me into the nefarious world of the négociant. Two things were going on for me: the dot-com boom, and the fact that I wasn’t making any money, so it was time to go back to California to see if I could make my fortune. I sold my wine collection so I’d have something to live on, then wrote a business plan for a négociant company. My wife started the company with me, but really out of a sense that I was a moron and she needed to help me. I launched in October 2001, right after September 11. We didn’t get wine onto the market until December that year. By the summer of ’03, we realized that what we had wasn’t going to move forward until we found a better distributor network and broker network. We needed to find a big retailer and develop a program that worked for them. That’s how the Lot program was born. We pitched it to Safeway and Raley’s, and I got the Costco buyer on the phone and guaranteed him he would buy the first wine I poured for him. He couldn’t resist the challenge. He tried the wine, and he called me from the airport on his way to France, saying he’d take it all. Lot 1 was a Lodi Syrah, and the winemaker was Sam Spencer, who later became my winemaker at CHW. MHM: You manage a number of brands. How does this product mix help you succeed? CH: The primary brand is the Lot program, and after that volume-wise it’s the Flying Winemaker. Then we have RockRidge, which is really a controlled brand, one we don’t do a lot of business with; it’s an opportunistic brand, an outlet brand, one we can use when we have a lot of volume. Of primary importance is the Lot Series channel: Costco, BJ’s, Sam’s Club—anyone who could take a position on wine, from a palette to a truckload. If you’re a grocery retailer, it’s more challenging. 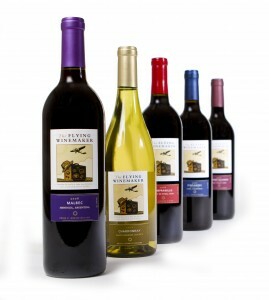 The Flying Winemaker was developed by our COO before he joined up with me. He’s an ex-Gallo, Southcorp guy. He had known my father for a long time, and they were friendly competitors in Modesto, California, where I grew up. He told my dad he had these brands from various countries, and though he had put this brand to a number of great big wine companies who’d said they were interested, they weren’t showing that they were interested. Now, The Flying Winemaker helps us penetrate the grocery channel. We go through distributors everywhere. In California we do sell to Costco direct. But everything else goes through distributors. We have no choice. But elsewhere we have all the relationships at the high level with all the chains. We make the sales calls as often as possible (sometimes you can’t, because the distributor wants to completely control the relationship). MHM: In the past couple of years it’s been hard to sell any wine above $20. At the same time, many wineries are moving into the direct space to try to retain more of their margin. How do you think about, and balance the issues in, your pricing strategy? CH: Pricing is a real challenge, there’s no doubt about it. We are lucky in that at any one time, we have 70 or 80 different wines. And in 2011 we’re going to have 100 or more. So we’re able to balance our direct-to-consumer needs with our traditional channel partners. Sometimes we’ll wash the wines first into the retail trade, run out that inventory, and then put the remainder on the website. But more often, we put it onto the website, let them sell a couple of months, and then put it onto the broader market. We’re usually a couple bucks higher than Costco or Sam’s Club. The diversity of our portfolio allows us to balance pricing. We have a complex web that allows us to offer different customers different wines at different times. There’s no one particular strategy. We look at every wine and its particular opportunity. Sometimes we sit on a wine, or make it disappear for a couple months. For example, Costco had rolled out its own Carneros Pinot at $9.99, and we’d rolled ours—which was better quality but $13.99. So we held ours back for six months in Northern California. We’re flexible. We can always move on to another product. You have to be careful, though, because you can’t hold too long, or a customer sees an older lot number and wonders what’s happening. MHM: The Lot Series has gotten much recent press; certainly the WSJ article helped boost the brand significantly. What has been the reaction to the Lot Series by wine producers? Do they view you with skepticism, euphoria, resentment, enthusiasm—or a mix? CH: There are a variety of reactions. Most are happy to get the cash, get the deal done, and move on. We’re not just a purchaser of bulk market wine. We do a lot of deals with different wineries for ongoing projects. One person who’s happy to talk about his relationship with us is Andrew Murray. He has a small winery with 16,000 to 17,000 gallons of extra capacity. He sources the fruit and is able to upgrade his orders year-over-year. This lets him cover his overhead and keep continuity in his cellar help. He makes a little money from us, and lowers his own costs and total cost of production. His growers like him because he does more business, and so he becomes an important player in his area. Most folks are very happy to sell us wine, and love doing business with us. We fix people’s problems. They come to us, they get the cash out of the deal. What we enable people to do is take risks, maybe go over a bit on how much they buy. They think, So I make this wine, and I can break even on the extra. MHM: Eric Asimov recently joked that it’s easier to get rid of a case of pneumonia than a case of California Syrah. 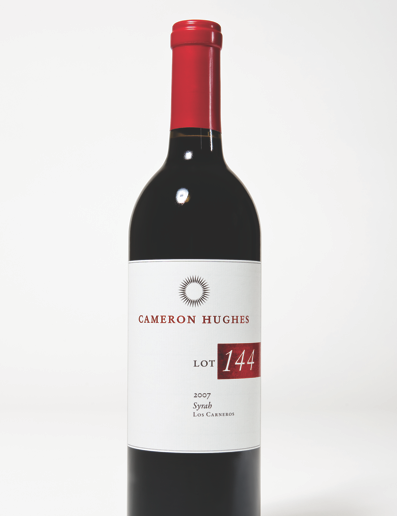 I tasted your Lot 144 Los Carneros Syrah and was surprised the retail price was only $13. Why was this wine so hard to sell under a more expensive program? CH: That wine, as small a quantity as it was, came from a consortium of wineries that’s struggling to get their big product sold. That particular wine is a victim of corporate priorities. These guys are having difficulties in the marketplace, and the fact is that you can’t sell a $25 Carneros Syrah. In our arrangement they’re about break-even, not a loss; we paid a fair price. And, let’s see, oh yeah—what really made that wine good is that they screwed up and accidentally drained off two to three thousand gallons, so in order to meet the contract, they went out and bought some rocket-juice stuff that really took that wine over the top. They went to a guy—a really high-end Napa guy; you’d recognize his name. MHM: Is this model sustainable in an upturn? What happens if the supply dries up, or alternately you stop being able to unload expensive programs inexpensively? CH: The supply and demand is to a great degree independent of the market. Pricing goes up and down a bit. People have the impression that this business model is unsustainable. But the fact of the matter is that there is always excess wine. Always. If you look at local figures, international figures—there’s always extra. Guys like me can come to the winemakers and write contracts for it, or likewise the winemakers can speculate a bit and not worry about going over. If prices rise, they rise for everyone, but we’re able to be leaner and meaner. We always try to maintain a competitive position. And we source globally, so there are always other countries—like Spain, Germany, Chile, Argentina, etcetera—where you can get great value. MHM: Anything else you’d like the world to know about CHWine? CH: Really what this company is at the end of the day is a boutique retailer. We happen to go right to the source, buy direct, and sell as direct as possible. We call on the headquarters of all the big chains. We’re the leanest, meanest wine company out there, and the most innovative wine company in the business. We’re going to continue to flesh out the Lot program, and to sell as direct as possible. 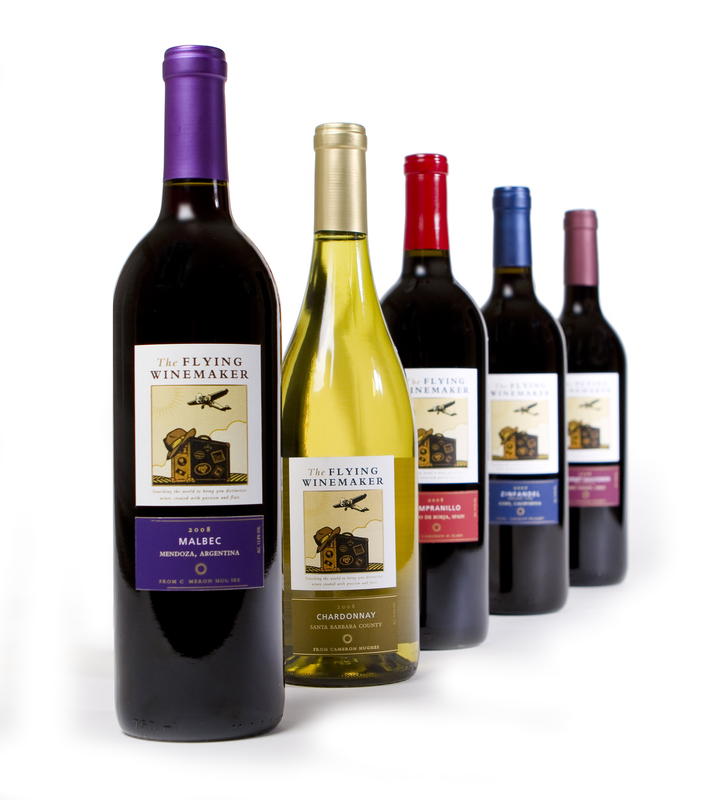 We’ll continue to flesh out the Flying Winemaker, add flavors to that. And we’ll be working with growers and showing them how diversifying their grape portfolio to include contract bulk wines for markets can help their business. We’ll teach them how to do it. And all these high-end guys—there’s excess fruit like you wouldn’t believe. Meg, Thanks for the clear look behind the label. Very glad to hear Mr. Hughes remind folks that there is always an excess of wine and fruit coming out of quality growing areas. The wine world relies on negociants, as an important part of the healthy eco-system. Very interesting see a traditional role continiuing to evolve in front of us. Todd, thanks for your comment. I found Cameron quite amiable and forthcoming, and I appreciated his candor in discussing his business. He gave us a valuable look behind the curtain. This guy has it figured out, that’s for sure. 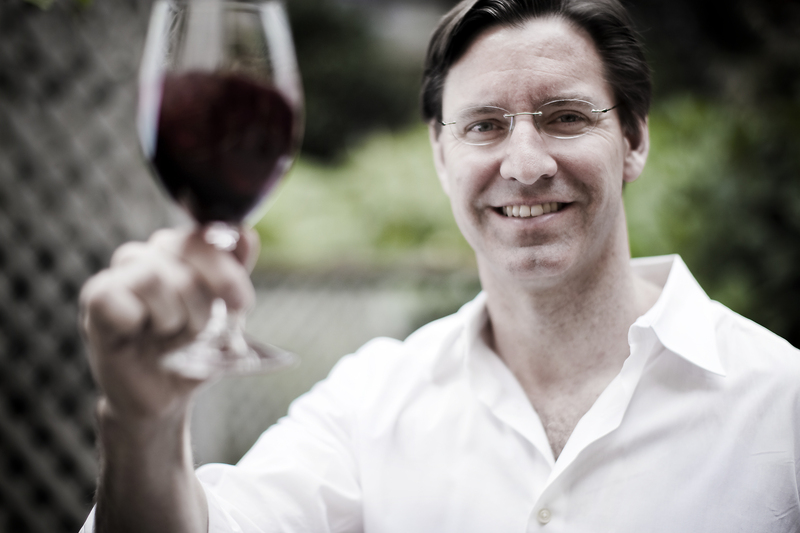 What’s impressive is his understanding of price points and how that drives a brand – especially in the wine industry. CH Wine oeople are excellent brand strategists and their results speak for themselves. It’s an enviable position in today’s wine marketplace. Thank you so much. It is always great to hear insights and wisdom from those who are shaping this industry. I wish Cameron all the best. Great post today!